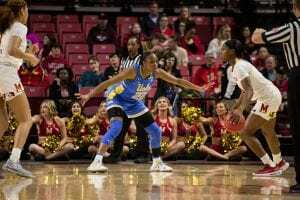 Arlington, TX – Forward Kayla Thornton has been named Dallas Wings player of the week for her outstanding performance Nov. 1-7. 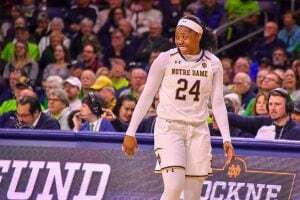 The 6-0 forward entered her second season with the Shinhan Bank S-Birds of South Korea this year, where the team is currently undefeated with a 2-0 record. In her first two games played, Thornton combined for a total of 38 points, 17 rebounds, four assists and one steal. 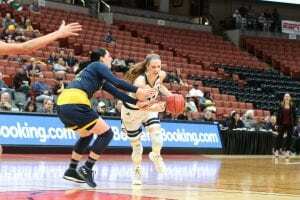 Her best performance occurred on Nov. 7 where she scored 31 points, 14 rebounds and four assists. She currently leads the Women’s Korean Basketball League in points, averaging 19.0 points per game and in 3-point field goals made, with 2.0 per game. Thornton and the S-Birds will round out the week when they face the Bloomings this Saturday. 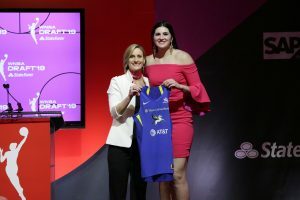 For all the latest scores, news and updates on how Thornton and all the other Dallas Wings players are doing overseas, visit dallaswings.com.